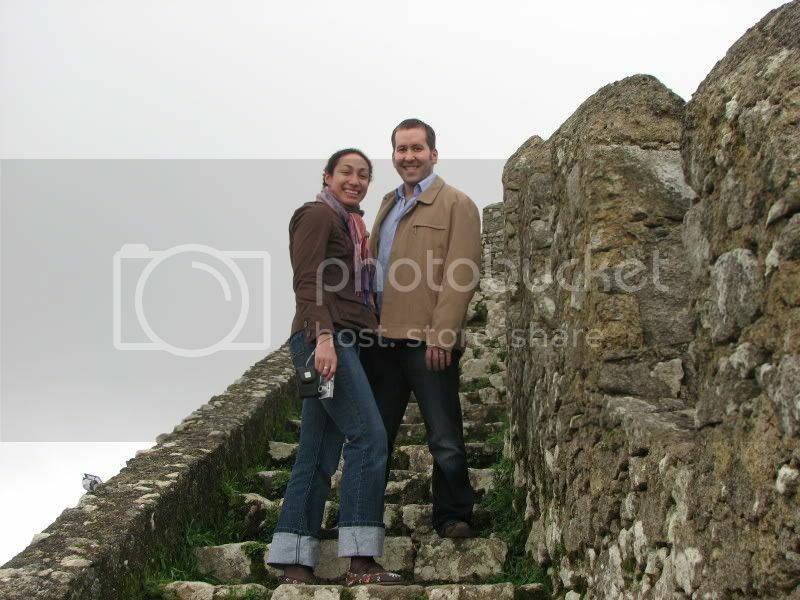 Let's face it, my sordid history with pastry has been somewhat faithfully documented since the inception of this blog. I hate working with pastry. I love eating it. I hate how it deposits itself to my backside after I've eaten it. And so the circle continues. 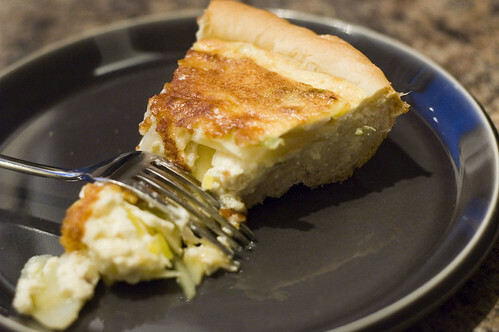 But it's hard to ignore the sheer comfort appeal of a quiche-like tart. It's yummy, it's quick to put together and it is such a nice dinner to have every once in a while. So when I came across this next recipe, I was actually quite thrilled, The original called for squishing together pillsbury breadsticks to make a crust, but what with the acquisition of my new kitchenaid, I wasn't going to allow that nasty little shortcut a place in my kitchen. Why defer to pillsbury when you can force slave labour out of hubs? He had the fortune (misfortune?) 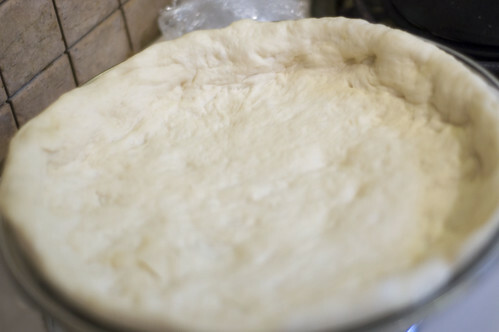 to be working from home that day, so against his loud protestations, I kindly coerced him into using the majestic kitchen aid to put together some dough (using the KA pizza dough recipe). I used half for this recipe, and the other half is sitting in my fridge. I don't yet have plans for it, but I will. This tart was really yummy, and I ended up eating it for three days straight, due to an unanticipated and rather elongated power failure that interfered with other dinner plans. Yummy. 3. Heat the oil in a large nonstick skillet over medium-high heat. 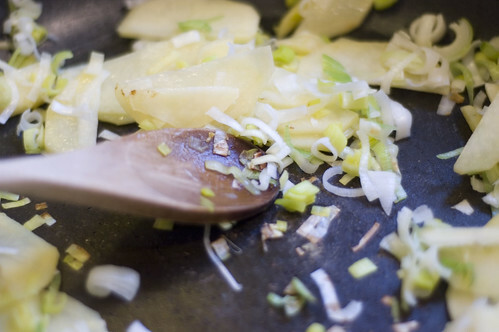 Add the leek, pepper, and potato; sauté 4 minutes (I suggest sautéing a little bit longer, up to 10 minutes). 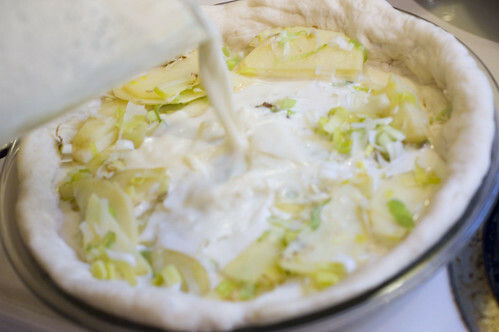 Spread leek mixture into prepared crust. 4. Place the milk, egg substitute, cheeses, and mustard in a blender, and process until smooth. Pour milk mixture over leek mixture. 5. Bake at 375° for 40 minutes; let stand for 10 minutes. (Consider baking for a little longer - my potatoes were still not totally tender....it was still awesome, but could have been marginally awesomer). And yes, that is now a word. Also, shock of all shocks, my tart popped right outta the pan after the requisite 10 minute waitin period. This looks so delicious! I've made a similar dish, though cased (top and bottom) in puff pastry, no eggs, and instead of potatoes, used zucchinni slices. So tasty! I can't wait to try this one. Hmmm it looks super yummy! Looks yummy, I'll have to give it a try. 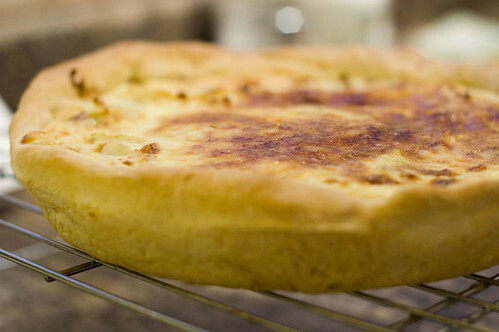 In my laziness, I have actually made many a quiche without the crust. Who knew it could taste just as good without the pastry? Just grease the dish, and pour the filling straight in. I wonder how it would travel since I am about to go back into packing my lunches mode. That looks delicious! I've been reading your blog for a while now (well, lurking is more accurate) and have finally decided to comment. Your pictures are fantastic. I only wish I had time to try all your recipes! Wow. This looks great. I think we'll be having breakfast for dinner one night this week. I made this last night to eat tonight, and it looks amazing. I made an herb pizza crust (whole wheat and flax seed as well), and I roasted pepers, asparagus and mushrooms and added those at the bottom with the potatoes.. I cant wait to eat this! Yours looks absolutely delicious, BTW! Looks wonderful! You're right it's good any time of the day! I just made this but with store bought pie crust (Forgive me, we're in the midst of moving at the KA and pie plates are packed) and leftover mozz/parmesan that I had grated in the fridge. I wasn't sure I'd like potatoes and eggs together, but it was delicious!